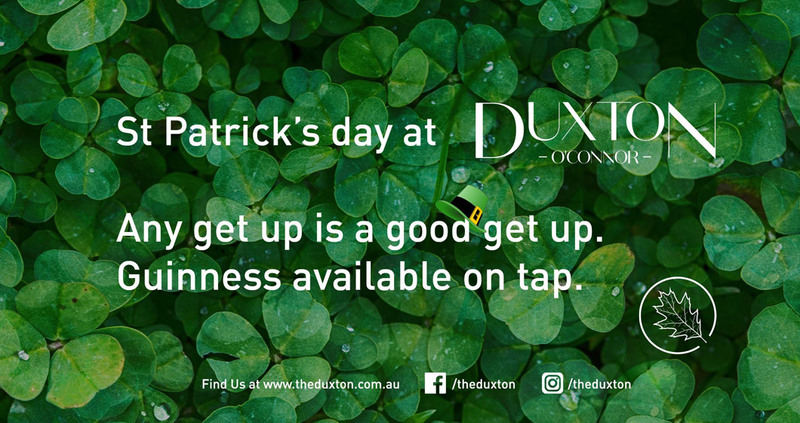 Celebrate St Patrick’s Day at The Duxton on Friday 17 March from 4pm! Think green, think Irish, think Guinness on tap. The Duxton have it all and want to see you dress up for it!